Alborz Restaurant is one of the oldest Persian Restaurants in Manchester and the name comes from a mountain range in northern Iran. Their dishes are inspired by the fresh mountain air of Alborz and the classic Persian cuisine. Rated highly on TripAdvisor with a a 4.5 star rating from over 75 reviews, the middle eastern restaurant offers halal and vegetarian dishes amongst the traditional meat options. 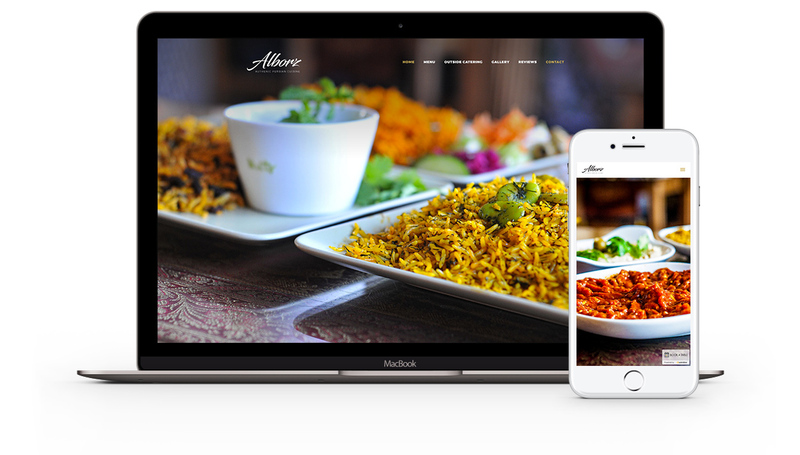 They wanted a new WordPress to showcase their beautiful food to the world, and our solution was a modern, responsive WordPress website with large, full-screen photography and an easy to read menu.